Totally Bamboo 20-7930 3-Piece Cutting Board Set Only $17.23! You are here: Home / Great Deals / Amazon Deals / Totally Bamboo 20-7930 3-Piece Cutting Board Set Only $17.23! Totally Bamboo cutting boards are attractive, super strong, and incredibly easy to maintain! Each cutting board is 3/8 of an inch thick, making them maneuverable and easy to store. 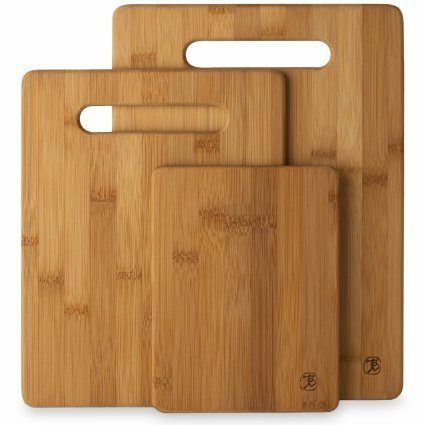 The Totally Bamboo 20-7930 3-Piece Cutting Board Set is Only $17.23! Boards measure 6 by 8 inches, 8-1/2 by 11 inches, and 9-1/2 by 13 inches. Get yours at this incredible price!